Travel can be a welcome change from everyday life, but if you are constantly traveling for work it can wreak havoc on your health. Traveling makes it hard to get in regular exercise and eating in restaurants every day is a high calorie nightmare. 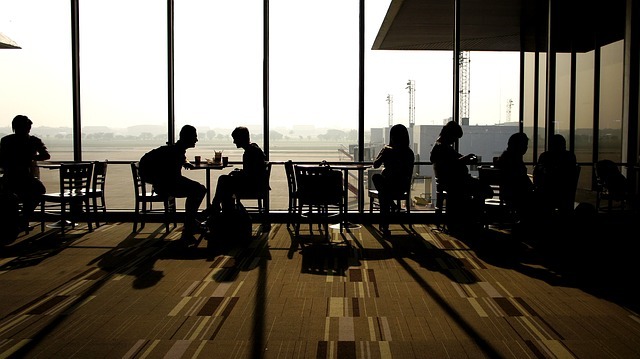 Your healthy routines can end up taking a back seat to business meetings and airplane travel. There are some things that you can do that will help you stick to healthy lifestyle and not get too far off track. When you are traveling you should bring snacks with you to eat on the plane or between meals. You can pack almonds, dried fruit, fresh cut veggies or some raw nuts. You should always have a bottle of water nearby so you can keep yourself hydrated, this also helps you to avoid getting jet lag. If you are the one booking the hotel then try and get a room with a kitchen so you don’t have to eat at a restaurant for each meal. Packing supplements can help you make sure you are getting the right nutrients. Eating out is an inevitable part of traveling and it’s a great part of the experience especially if you’re on vacation. When you travel half the month on business you’re going to have to learn to choose healthier options while you’re away. So skip the heavy sauces and try ordering things like grilled chicken and vegetables. If you are ordering salad then make sure the dressing stays on the side. If you are drinking then have wine it has fewer calories. Restaurants tend to serve huge portions so order appetizers or even a child’s portion. Most hotels come with some type of fitness facilities even if it is only a couple of treadmills, lack of equipment isn’t a reason to start skipping workouts. Even 20 minutes on the treadmill is better than nothing. Even without any fitness facilities you can still do push ups, crunches, lunges and squats right in the room. You can travel with resistance bands as well. The stairs can be an awesome workout as well. If you have a gym memberships with one of the national chains then you may be able to workout as a guest at a different club. Traveling does make it harder to get in regular workouts and to eat properly but that shouldn’t be a license to overindulge. You can make it work if you try.